Autumn is here friends! And beyond indulging in apple cider, everything pumpkin, and colorful leaves - you know what one of the best activities about the fall is? Well cruising around and exploring the countryside, of course! And we have the perfect plan to route you through beautiful, colorful country roads while exploring local, historical sites significant to the Chippewa Valley. Available on the Visit Eau Claire website and app, the Timber Trails Audio Tour will take you on a journey bringing history come to life of our beautiful area. Take the full tours as we have made available, or get crazy and make one of your own highlighting everything you love seeing. See the historic Schlegelmilch House in Eau Claire and head cross-country eventually ending up in Menomonie. You will see the site of the ghost town of Porters Mills, and a geologically interesting waterfall called “Devil’s Punchbowl.” And for you literary buffs out there – Caddie Woodlawn Park will be right up your alley. Don’t forget to check the events at Carson Park when you end this tour or head on into Chippewa Valley Museum to continue feeding that hungry mind! 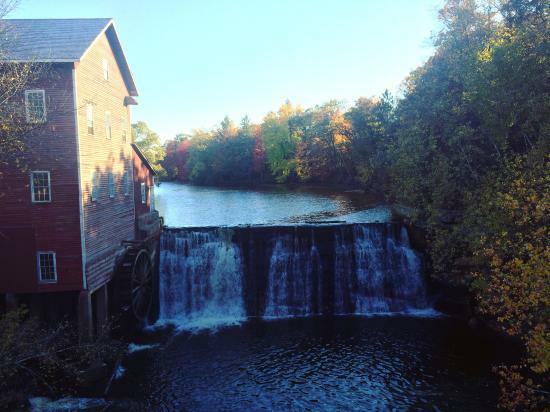 Start in beautiful downtown Chippewa Falls and follow the Chippewa River north for this tour. See some beautiful rustic roads and get a lot of river pictures. On this tour, you will learn the story of “Old Abe,” see and learn the history of the Cobban Bridge (which at present has an uncertain future), a larger than life pulpwood stacker, and eventually winding your way back into Chippewa Falls to see the world famous Leinenkugel’s Brewery. 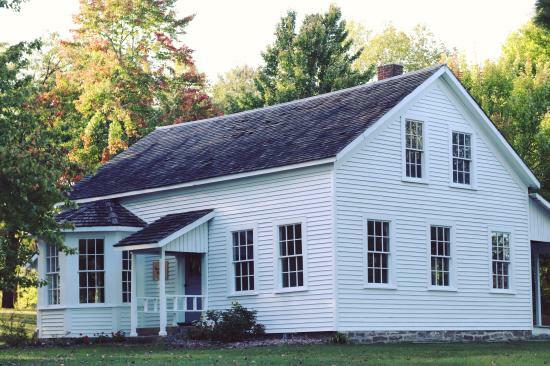 If short on time by the end of this tour, be sure to come on back because you could easily spend a day at the last stop – Irvine Park, which offers fun recreation opportunities, a zoo, and a one-room schoolhouse museum and rustic cabin to tour in the summer months! Start the tour at Eau Claire’s own historic Banbury Place and take a scenic tour of the greater Eau Claire area. 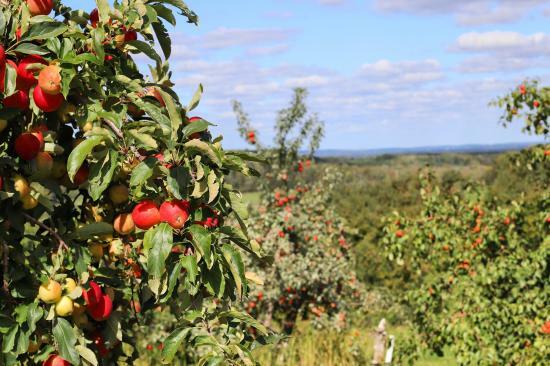 On this tour you will see magnificent scenery at Big Falls County Park, take a tour of Orchard country (don’t forget to stop for some cider), and learn a little history about the founding of our surrounding communities in Eau Claire County, including how Altoona came to be known as “Cinder City.” And a stop at Dells Mill with an autumn backdrop is perfection! When you feel like you have Eau Claire County pretty well covered, head west for this audio tour and see what these communities offer. The tour starts in Menomonie at the Mabel Tainter Center for the Arts. If you love old buildings and architecture, you will love this building and the next stop, Wilson Place Mansion. Be sure to check events at these locations and see what they are all about for a future trip! The rest of this tour will take you to smaller towns and villages, as well as provide some exposure to other cultural landscapes. This brief overview only scratches the surface of all the cool things you will see on this driving tour! It will bring a new perspective to the region we are blessed to live in. Not to mention, you’ll sound smarter as you pass on some facts about our history to others. So fill up the gas tank, grab your phone, open up the app and head out for the fun explorations of this tour!